The Woodlands is a true community, tucked beneath the cover of the pine forests of north Houston. A top master planned community, The Woodlands are is one of the fastest growing suburbs in the nation, due to its high value, quality of life, from career opportunities, to family outings and neighborhood activities. 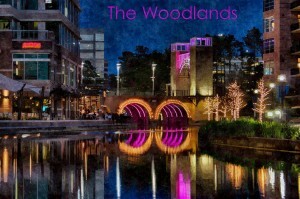 Central to this area is the Woodlands Resort, which boasts 200+ specialty and family style restaurants, upscale shopping experiences and a thriving entertainment district, home to venues such as the Cynthia Woods Mitchell Pavilion, Hughes Landing, and Waterway Square as well as events like the Arts Festival and Insperity Golf Championship. The Woodlands also offers a wonderful life-work balance, with multiple industries finding homes here, including research, education and industrial companies, as well as the top rated hospital systems in the area. With such a short commute, residents of this area have plenty of time to enjoy the many parks, hike and bike trails, and 200 acre Lake Woodlands. Favorite pastimes of residents also include world class golf, tennis, and kayaking. Of course, to offer the complete package, The Woodlands also excels in top performing public, pre and private school options. Students in this area also have the top rated Conroe, Magnolia and Tomball school districts to develop in, as a superb private schools. But, the school options do not end there. The Conroe area is close to Lone Star College-Montgomery, Lone Star College-University Center and Sam Houston State University, all institutions that provide programs ranging from Associates to Master degrees. And for the career students, the Academy for Lifelong Learning has a course catalog pages long and full of exciting and cutting edge classes for seniors. 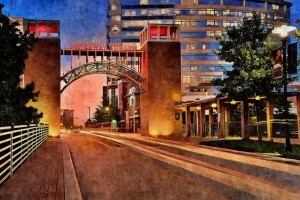 As you take the scenic drive through The Woodlands, you will notice that the area is split into charming Villages, each with its unique shopping centers, stellar schools systems, and multitude of amenities. This has allowed Builders to offer a wide variety of home and lot styles, grouping similar homes in like-minded communities that offer service and amenities tailored to those residents. Neighborhoods settings include golf course, lakeside, greenbelt, urban and gated communities. Spring and Klein offer a slower paced living, 20 miles north of downtown Houston and minutes from The Woodlands. In recent years, these areas of north Houston have grown in popularity and were recently ranked by CNN Money as #14 of the 20 most affordable locations to live within the United States. Within the city limits, Spring and Klein offer a stellar education opportunities in the two school districts, Klein ISD and Spring ISD, as well as charming shops and dining experiences. From teeing off a at one of its challenging golf courses, to strolling the streets lined with boutique shops, Spring and Klein offer a relaxed alternative to the hustle of Houston, while staying close to business and commerce.